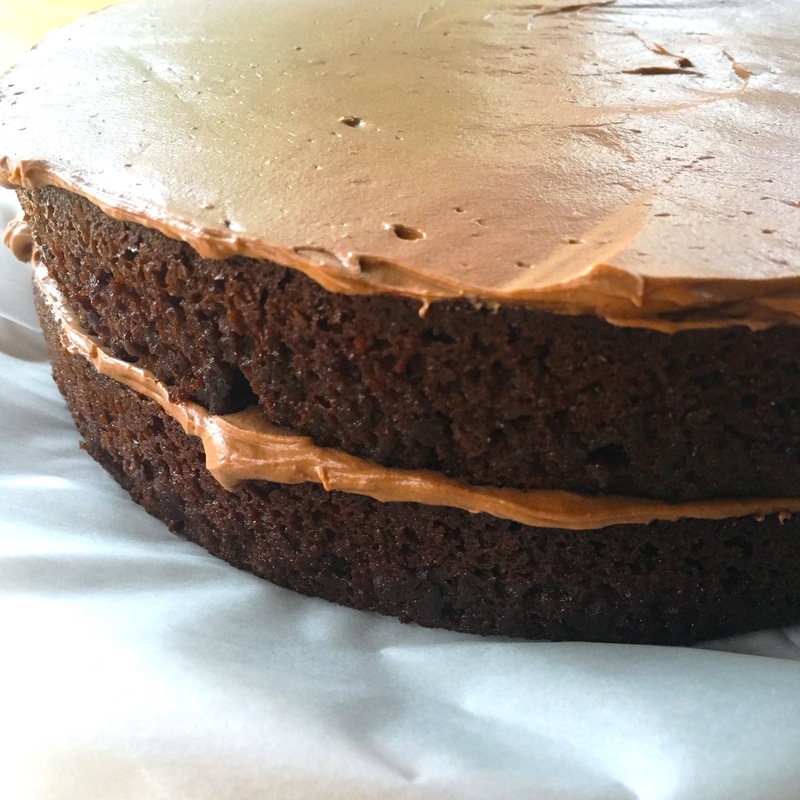 ItDoesntTasteLikeChicken.com claims it is the ultimate vegan chocolate cake. If the frosting is anything to go by we are in luck. Preheat your oven to 350F (180C). Prepare two 8″ round baking pans by lightly greasing them, and then cutting a circle of parchment paper to fit into the bottom. In a medium bowl whisk together all of the wet ingredients. Pour the wet ingredients into the dry ingredients and mix until just combined. Don’t over mix. Divide the batter into the prepared pans, then pop them in the oven. Bake for about 40 minutes until a toothpick inserted into the center comes out clean. Let the cakes cool completely before frosting. Use a mixer to blend all of the frosting ingredients except for the non-dairy milk. Blend until whipped and creamy. If the frosting is a bit too stiff, add 1 to 2 tablespoons of non-dairy milk as needed until desired consistency is reached. Run a knife around the edges of the cake pans, and flip the pans over to remove the cakes. Remove the parchment paper and discard. Place the first cake on your cake plate, and spread about half of the frosting on top. Place the second cake on top of the frosted cake, and spread the remaining frosting on top of that cake. Add swirl patterns with your spatula to make it pretty. Store the cake in the fridge or a cool place until you are ready to serve.